Stefanie Fogel has written about technology since 2009. Her work has appeared on Variety, Engadget, Polygon, and many other online publications. 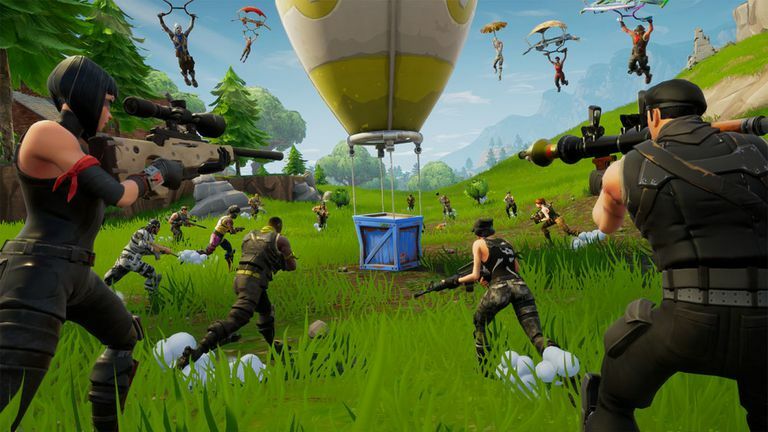 Epic Games released an account merging feature for its hugely popular battle royale title Fortnite in November 2018. If a person has more than one account on multiple platforms across Xbox One, PlayStation 4, PC, etc, this lets players combine them, transferring cosmetic items, V-Bucks, Save the World campaign access, and more. If you want to know how to merge Fortnite accounts, keep reading and we'll show you how. While it's not necessary to do this, taking advantage of the feature makes it easier to play the game on multiple devices, sharing progress and purchased items across platforms and eliminating the need for multiple logins. There are some important things to keep in mind when merging your "Fortnite" accounts. One account needs to be played on Xbox One or Switch and the other on PS4 before Sept. 28, 2018 to be eligible. Your accounts can't be merged if one is currently banned or disabled. You need access to all of the email addresses associated with the accounts you want to merge. Go to https://www.epicgames.com/fortnite/account-merge/en-US/accounts/primary and select a Primary Account. This is the one you'll continue using after the merger is complete. Login to that account. Epic will email you a security code you'll need to enter to continue. Choose a Secondary Account to merge and disable, and login to that account as well. Follow the on-screen prompts to finish the merger. What Does or Doesn't Transfer After a Fortnite Account Merge? Once your accounts are combined, all purchased content is shared across all supported platforms, including all the cosmetic items you've purchased in Fortnite's Battle Royale mode. Fans of the Save the World campaign will keep their Llamas, Defenders, Heroes, Schematics, Survivors, XP, Evolution, and Perk Materials. Other items, like Support-A-Creator status, Unreal Marketplace items, Creative Islands, and Save the World account level and progress won't carry over from your Secondary Account. Purchased V-Bucks (Fortnite's in-game currency) are also shared between all supported platforms, and any content you buy with them will be available as well. After you merge accounts, it will take about two weeks for "Fortnite" cosmetic items and V-Bucks to transfer into your Primary Account.